Brent's research examines power, discourse, and issues of social justice in varied settings for music learning around the globe. He is the author of Gending Rare: Children’s Songs & Games from Bali, editor of the book Marginalized Voices in Music Education, has published book chapters in multiple collections and articles in state, national, and international journals. Brent is a member of the steering committee of the MayDay Group (an international organization of over 450 music educators) and is chair of the Social Science Special Research Interest Group for the National Association for Music Education. Additionally, he serves as chair of the Society for Music Teacher Education for Pennsylvania and is on the research board for the Pennsylvania Music Educators Association. 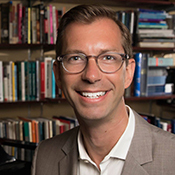 Brent is associate editor of the journal Action, Criticism, and Theory in Music Education and is on the editorial board for the Bulletin of the Council for Research in Music Education. He has hosted and coordinated state and international conferences; most recently the MayDay Group Colloquium 29 in 2017, Colloquium 27 in 2015 and Colloquium 26 in 2014 as well as PMEA District 7 teacher in-service day in 2011 and 2016. Brent also served on the planning committee for the third symposium of LGBTQ Studies in Music Education held in 2016 at the University of Illinois and on the planning committee of the Mountain Lake Colloquium in 2017. As an artist-in-residence, Brent has taught thousands of students around the country about Balinese music and dance. His ensemble, Gamelan Gita Semara was invited by the government of Bali to perform at the Bali Arts Festival in 2016. Brent is an active choral clinician who has conducted numerous county and district honor choirs as well as directed groups at the Interlochen Center for the Arts and the Chautauqua Institute. A frequent presenter at regional, state, national, and international conferences, his areas of expertise include: discourse analysis, music identity, world and popular music pedagogies, and teaching music through movement. Brent performs piano, voice, saxophone, percussion, and gamelan, and was a former ballroom dancer and instructor for Arthur Murray. He earned his Ph.D and M.A. in music education and a diploma in ethnomusicology from the Eastman School of Music at the University of Rochester as well as his B.M.E. in choral/general and instrumental music education from the Jacobs School of Music at Indiana University. Additionally, he is certified in all three levels of Orff-Schulwerk.